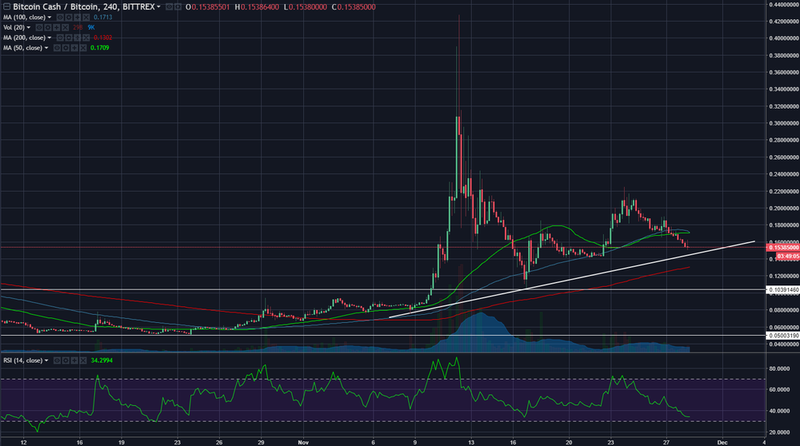 As we can see on the 4H chart, BCC/BTC is still consolidating after the spike. In this consolidation mode, there is still a slight bullish bias. With the bullish bias in consideration, the 0.14-0.15 BTC area is the first key support. Below 0.14, the next key support will be 0.1040 BTC.